No obligation. Call today! Coupon void if altered. Expires 05/04/2019. Whether you’re a first-time home buyer or have bought or sold houses before, Holmes Real Estate in the Hudson Valley area in New York should be your realtor of choice. 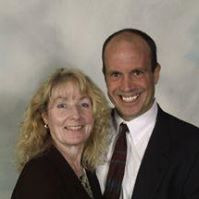 Bob and Theresa Holmes will help you find the home of your dreams, or help you sell your house in Ulster County, Orange County, New Paltz, New Windsor, Newburgh and surrounding areas. Find out how much your home is worth and let Theresa and Bob get you top dollar for selling your home. Don’t compromise, get your free market analysis and consultation with Holmes Real Estate today! Single Family Homes, Condominiums, Multi-Family Homes, Foreclosures, Short Sale and other real estate services. Orange County, Ulster County, Newburgh, New Paltz, New Windsor and other surrounding neighborhoods.